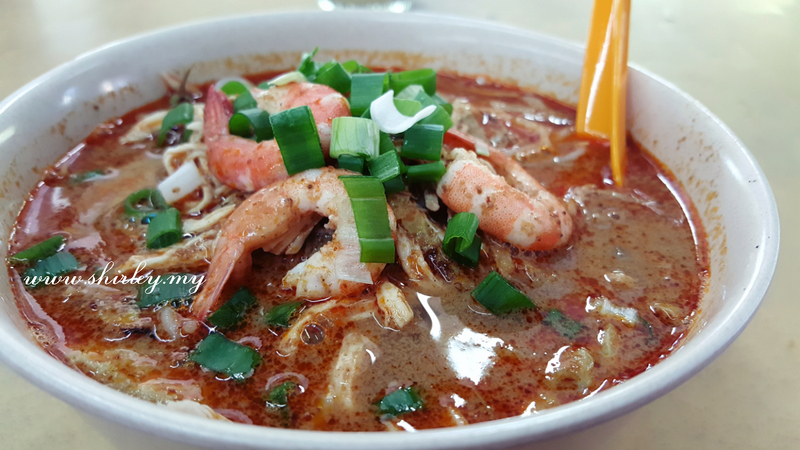 NZX Food Court, Central Boulevard, Jalan PJU 1A/41B, NZX Commercial Centre, Ara Damansara, 47301 Petaling Jaya, Malaysia. 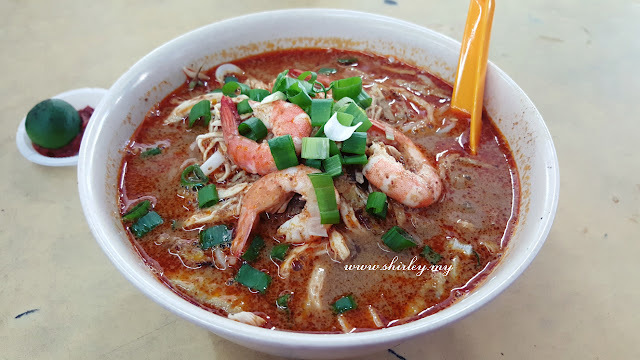 Sarawak famous Laksa is now at Selangor. 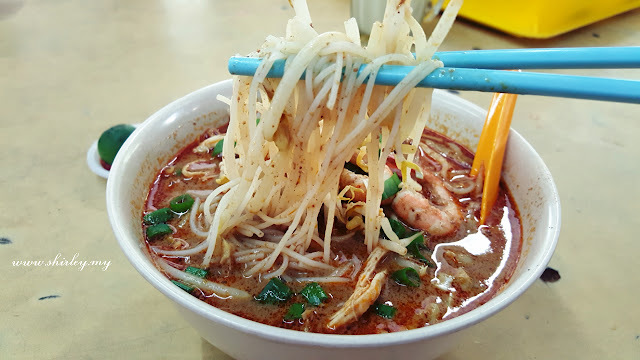 I have been trying for so many Sarawak Laksa at around Klang Valley and I found that this is the most delicious one. 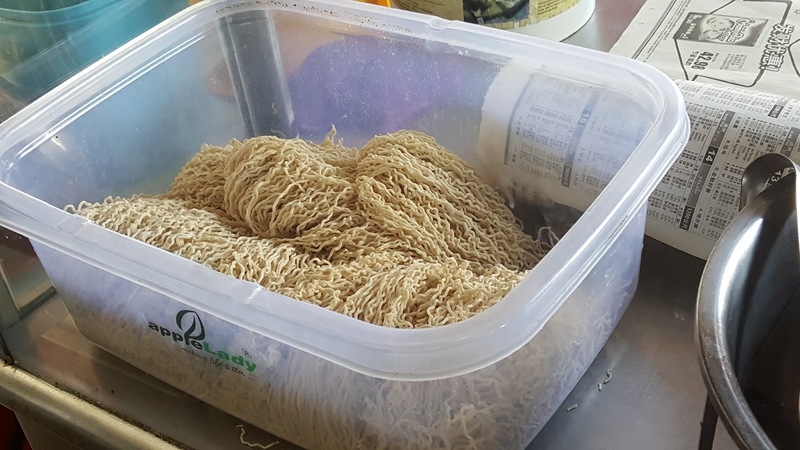 You can choose either beehoon or kolok mee for your laksa. The laksa comes with prawns, slices of eggs and chicken meat. Sarawak Kolok Mee is the common food in Sarawak. 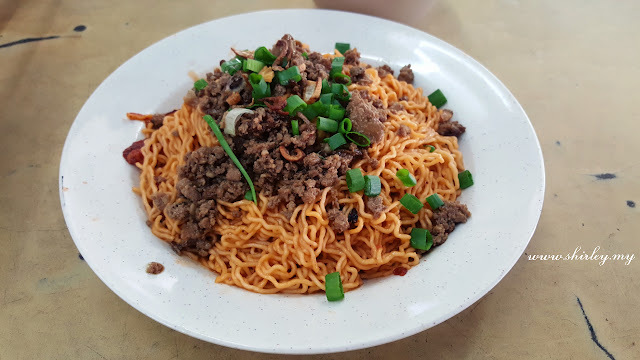 The mee is flavored with char siew sauce, that is the reason why you see the mee is in red/orange color. 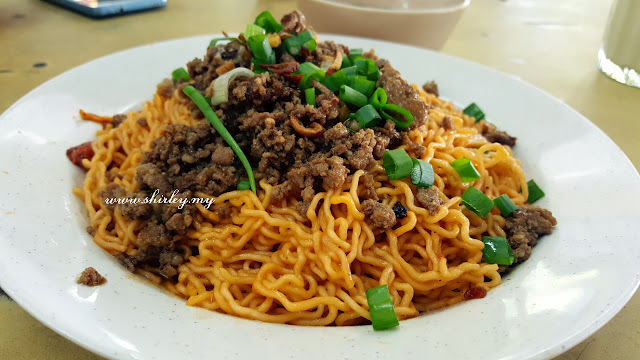 There should be a topping of char siew on top of the mee, but today auntie has sold out all the char siew, thus she made the mee with minced pork for me. Come to Wang Jing Restaurant and look for this stall. It is right beside the dim sum stall, very easy to spot. Sarawak Kueh Chap is also available at the stall. Kueh Chap is exactly the same thing as Johor Kueh Teow Kia. Visit my facebook fan page at fb.shirley.my. Follow me @shirleyfishy on instagram.